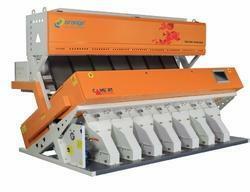 Manufacturer & Exporter of Xsort Sorting Machine & X sort - Multi Grain Sorting Machine. Our product range also comprises of Color Sorting Machine, Grain Sorting Machines and Coffee Sorting Machines. Indias leading Manufacturing Company Provides Dhal Color Sorting Machine with supreme quality Color Sorting Machine is the perfect solution for Dhal processors and gives best quality as our professionals using supreme grade components and latest techniques as per the defined industry standards of quality. Known for its excellent functionality, this Color Sorter is available with us in various technical specifications at affordable rates.